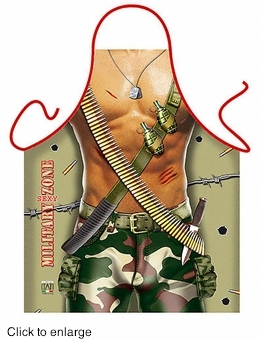 A great gift idea for men, this funny apron will make him laugh and is a cute novelty gift. A funny chef apron is a good gift idea for his birthday or father’s day. Can be used at parties, bachelor parties, and Halloween. Photo-Art Aprons, are 100% polyester with a high definition image thanks to sophisticated printing technologies. No need to iron anti-spot fabric. Environment and human friendly and meets all European standards. Completely produced in Italy.